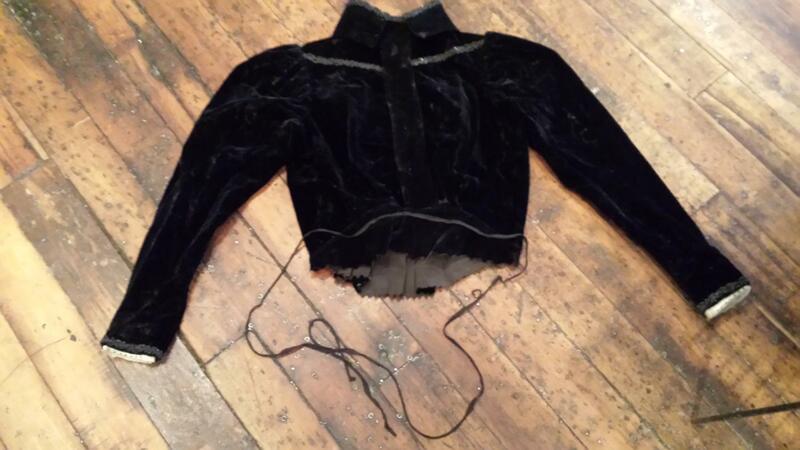 This is an antique Victorian black velvet mourning blouse or jacket. 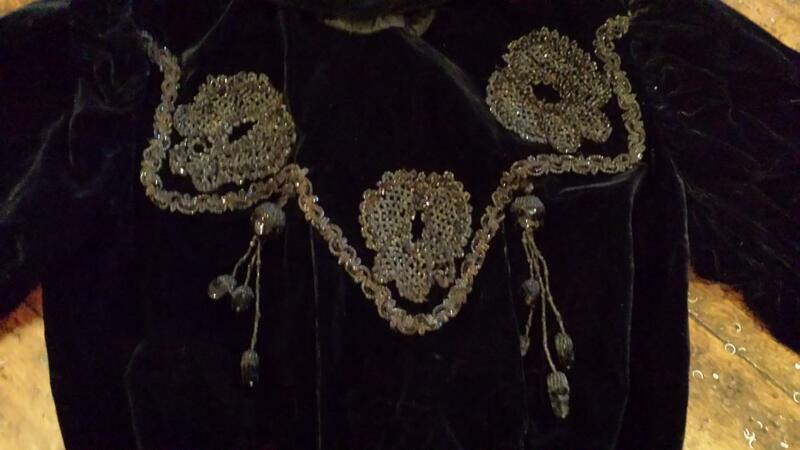 The front is decorated in an elaborate beaded design, and it has beaded tassels on each side, one with 3 strands and the other with 4 strands. n The beadwork is exquisite, but there are a few areas where the beads or loose or have come off. 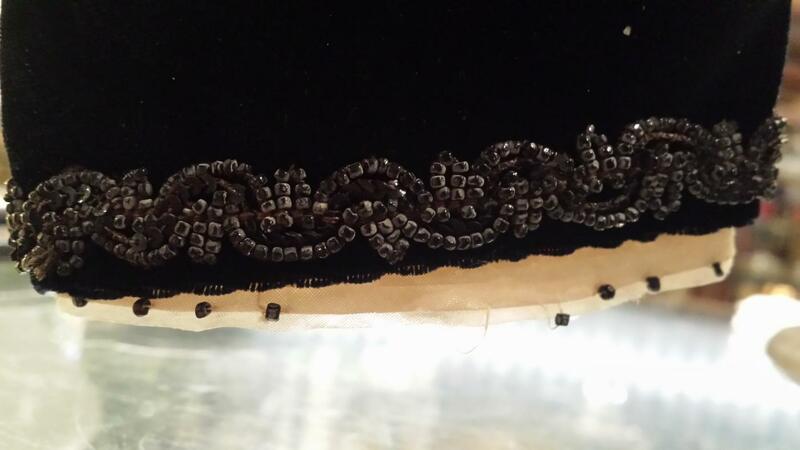 The top of the collar is decorated with beads and is about to come off. Each cuff also is also decorated with beads. It has hook and eye closures all the way down the back, and a string to tie around to the front. 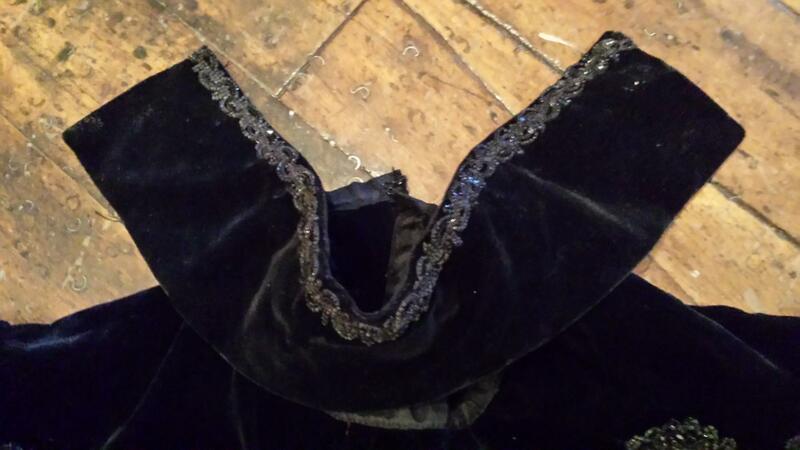 The velvet is in great condition, and I don't see any holes or tears, nor do any other seams appear to be lose other than the collar. 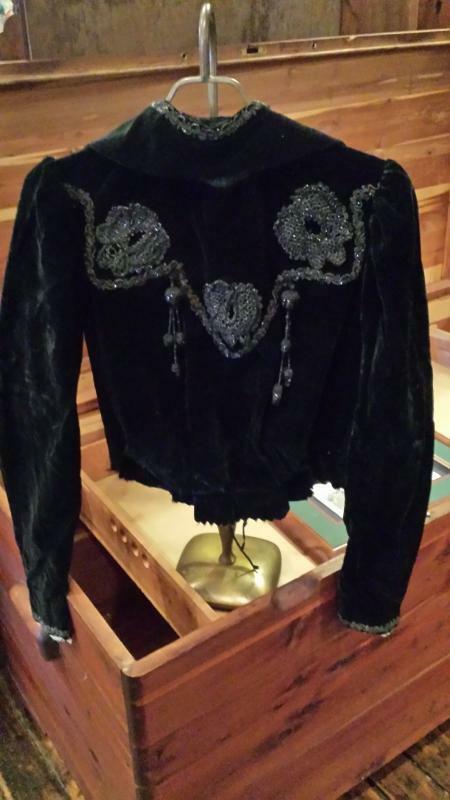 I believe this jacket dates from the late 1800's. 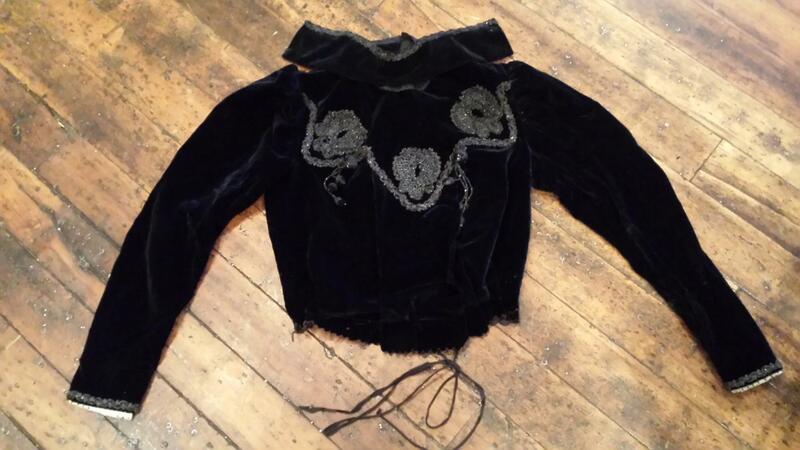 Items Similar To "Antique Victorian Black Velvet Beaded Mourning Blouse Jacket"